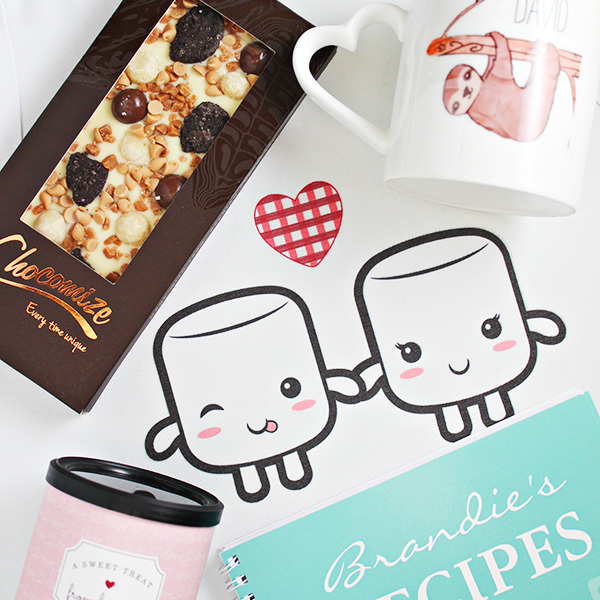 Our picks for some of the cutest and sweetest foodie gifts for Valentine’s Day! 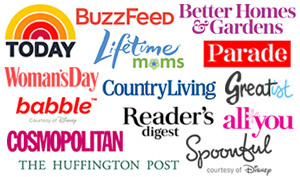 This post is in partnership with Zazzle and it contains affiliate links for your convenience. Click here to read our full disclosure policy. Valentine’s Day is a fun day to give a bit of extra love to those you care about. And for me, my Valentine’s Day thoughts tend to center around food! I make a special breakfast or dinner for my family and I usually surprise them with chocolate or another treat. 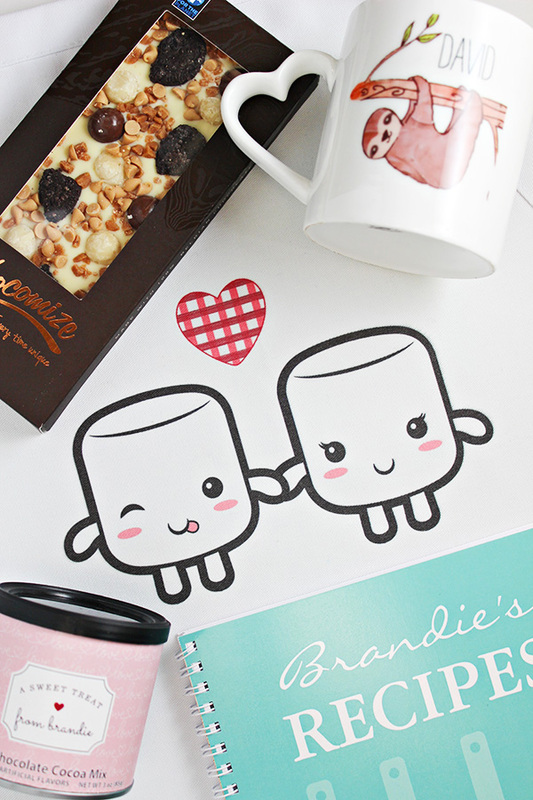 With Valentine’s Day just around the corner, I’m partnering up with Zazzle to share some of my favorite foodie gifts that are super sweet and even cute. 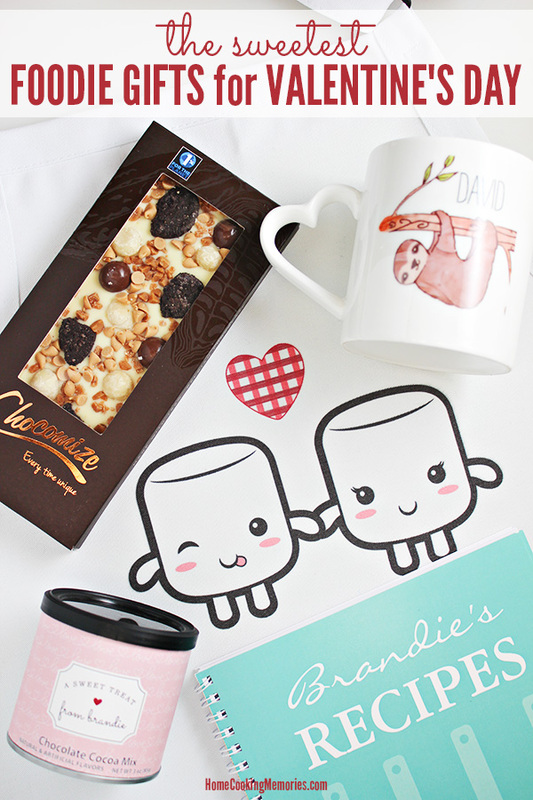 I absolutely adore these gift ideas and I think your special someone will too! I’m so excited about this Valentine’s Day Gift idea. These are Personalized Hot Chocolate Cocoa Mixes, which I bought this year to give away. The minimum order was 6 containers, which was a perfect amount for me (you can order more than 6 if you wish). I bought the smallest containers, but they also have larger sizes. I personally love the “Scribble Love” label design, but Zazzle has other designs too. 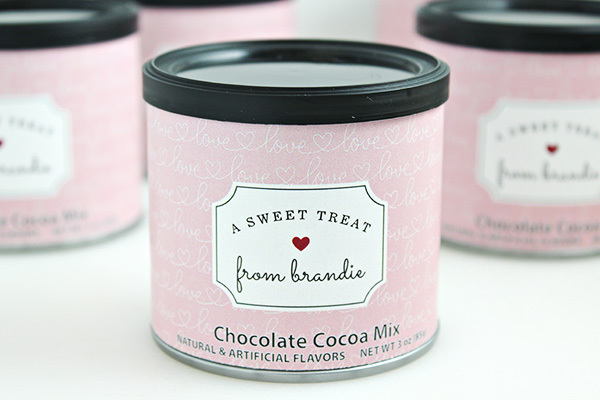 You can personalize the label as you wish — I went with “A Sweet Treat from Brandie”. 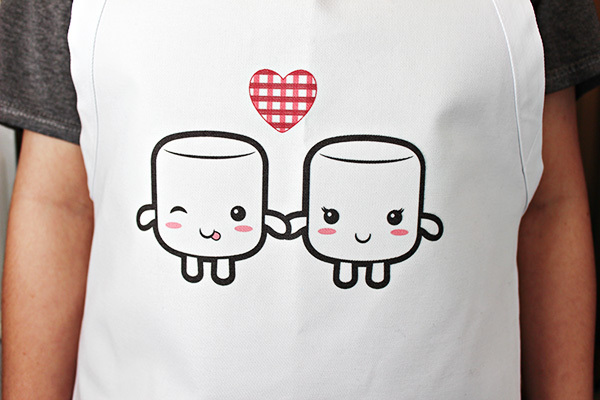 Aprons can be a must for a messy cook, but when it’s an apron with a super cute marshmallow couple, it doesn’t matter if you’re messy or neat! This apron is so adorable and perfect to give to someone you love. Not only did I get this apron for myself, I also ordered a mousepad with the same design. So freakin’ cute! Those of you who have been reading my blog for some time know that David and I have a special connection over morning coffee. When I spotted the Couple Mug Sets, I just had to get a set. The cups have heart shaped handles and they nestle together to form the complete design. 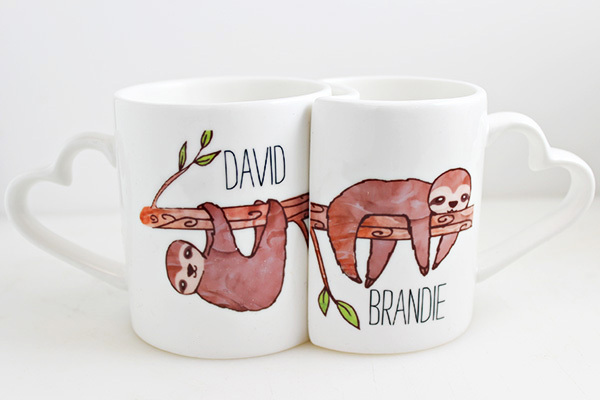 It was SO hard to pick which design I wanted, but these illustrated sloths hanging around on a tree branch were way too cute to resist. The original listing showed the sloths with the words “Lazy” and “Sleepy”, but I changed it so it would have our names instead. Ever since our kids were little, we’ve bought them a small box of chocolates for Valentine’s Day. This year, we went a different route and made personalized chocolate bars! 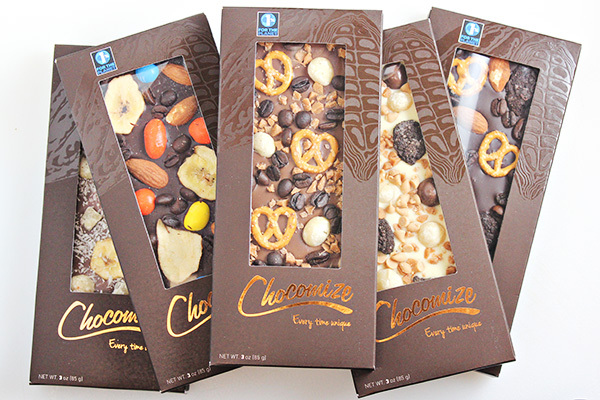 On the Zazzle website, you can make your own custom Chocomize Bars, topped with your choice of toppings. You even get to pick the kind of chocolate you want (dark, milk, or white). The site was very easy to use and it allowed us to make each candy bar as unique as each of our kids are. I was very impressed with the quality of these too and especially love how the packaging allows you to see your creation. Even though our world is so digital, I’m still a big fan of notebooks. Whether it’s my grocery list, menu plan, or notes on a recipe I’m developing, it’s all done with good old fashioned paper and pen. If you are looking for a gift for someone who also loves jotting down notes, these personalized notebooks are a one-of-a-kind gift. 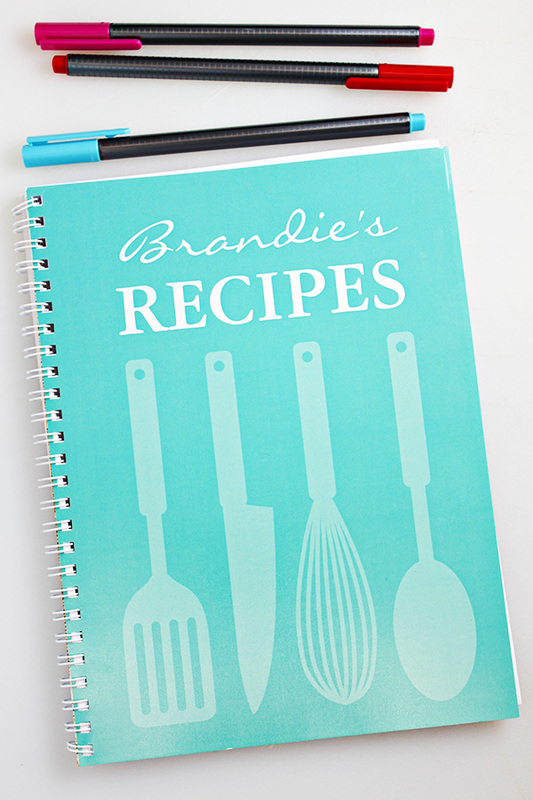 I chose a design suitable for the kitchen and personalized it with “Brandie’s Recipes” as a place for my notes on the recipes I make. You can personalize these notebooks however you would like to make a sweet gift for someone. Want even more great Valentine’s Day gift ideas? Check out Zazzle Valentine’s Day Gifts page!